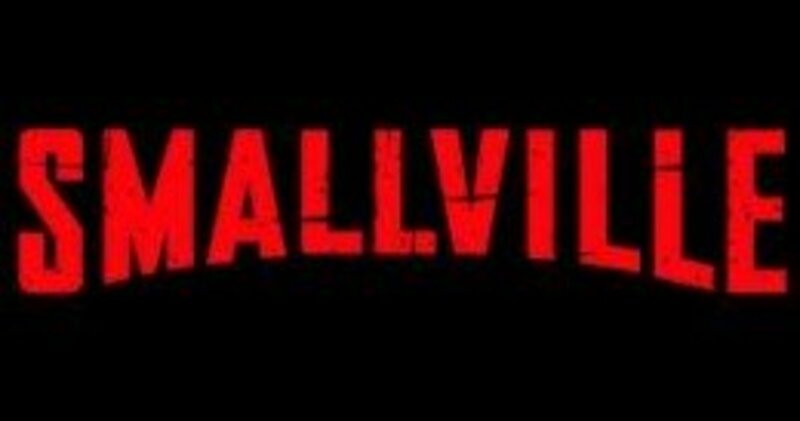 It was recently reported by the CW network that their hit series “Smallville” will return for a tenth and final season. The cast of this remarkably durable show has changed over the years, but two things have remained constant: 1) Clark still can’t fly, and 2) the ladies in the cast have always been strong and beautiful. Lois, Lana, Kara, Tess, and Chloe have graced the small screen for the last decade, and even Mrs. Kent is extremely attractive. What these comic characters might lack in sophistication, they more than make up for in charm. Smallville began as a show about high school students and appropriately did not draw attention to the allure of its youthful cast in their earliest episodes. That changed for good with the debut of Erica Durance as Lois Lane. Following that moment, the ladies of Smallville and later Metropolis were forevermore portrayed as adults, leaving high school proms and teen angst behind. Not just ordinary adults, but powerful, larger-than-life characters—some of them possessed super powers and all of them played a role in Clark’s transformation into the hero he would become. Here, then, are twelve of the women of Smallville. The lovely Annette O'Toole played Martha Kent, Clark's biological mother. Kristin Kreuk (Lana Lang). Kreuk played Lana in the first seven seasons of Smallville. Originally cast as a naïve girl-next-door and an early romantic interest for Clark, Lana’s character transformed as a result of both Clark’s and Lex’s covert activities. She wed Lex in a marriage doomed for failure and eventually returned to Clark, but their relationship couldn’t be sustained. Lana ultimately understood the best way for Clark to realize his destiny was for her to leave Smallville. Allison Mack (Chloe Sullivan). Mack is the only member of the cast besides Tom Welling to appear as a regular in each season. Chloe was Clark’s best friend and one of the first to notice meteor rocks had transformed some of Smallville’s townsfolk, and she investigated and documented each strange occurrence. Chloe was extremely independent and intelligent, seeking the truth in a manner that would eventually characterize Lois Lane. Chloe Sullivan was an original character created for the series, encompassing many traits possessed by both Lois and Lana in DC comics. Annette O’Toole (Martha Kent). Annette O’Toole was a regular on Smallville during its first six seasons. Martha Kent was Clark’s adoptive mother and lived in Smallville before becoming a U.S. senator and moving to Washington. Caring and nurturing, she was Clark’s moral compass as he learned to cope with his superhuman abilities. Annette O’Toole coincidentally played Lana Lang in the 1983 movie, Superman III. Lynda Carter (Moira Sullivan). 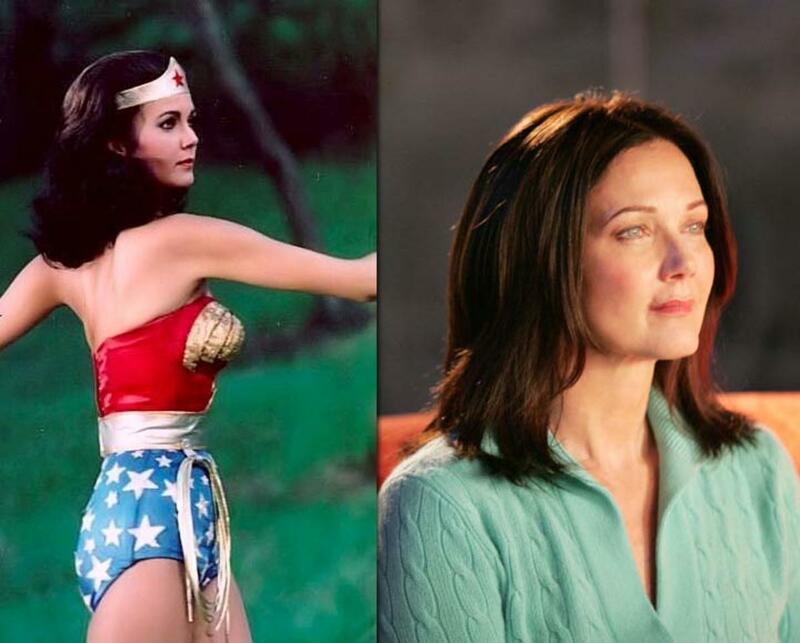 The beautiful Lynda Carter played Chloe Sullivan’s mother in season six. Moira had the power of mind control and could use it to influence the actions of others from considerable distances. She was voluntarily committed to a sanitarium but eventually fell under the influence of Lex Luthor. Moira eventually lapsed into a catatonic state where she remained. Lynda Carter is best known for her role in the television series Wonder Woman. Laura Vandervoort (Kara Zor-El). Vandervoort appeared in season seven as Clark’s cousin from Krypton, Kara. She was sent to Earth to look after baby Kal-El, but her spaceship was trapped in stasis and she arrived years later. Kara tried but failed to adjust to life on Earth, and became entrapped in Luthor’s nefarious schemes. By the end of the season, Kara was transported to the Phantom Zone. She eventually escaped and set out to search for Kandor. Helen Slater (Lara-El). Slater played Clark’s biological mother in a season seven episode. Lara appeared through a portal leading her through time and space from Krypton to Earth. She wished to see where Clark would live upon his arrival. Helen Slater originally played Supergirl in a 1984 feature film, and her scenes with Laura Vandervoort were viewed as a symbolic passing of the Supergirl mantle. Alaina Huffman (Dinah Lance/Black Canary). Featured in a season seven episode, Black Canary was hired by Luthor to combat Green Arrow, but she was eventually convinced by Clark and Oliver that Luthor was the real villain. An exceptional athlete, Black Canary possessed an ultrasonic scream that immobilized her foes. After realizing Green Arrow was not evil, she joined with him and other members of the Justice League to combat evil. Cassidy Freeman (Tess Mercer). Freeman joined the cast in season eight as the heir apparent to the missing Lex Luthor. She combined Luthor’s intellect and cunning with a sophisticated bad girl image. It took awhile for Freeman to make Tess more than a female version of Lex, but eventually she made the role uniquely her own—she is morally ambiguous and at times seems more an anti-heroine than a true villainess. Serinda Swan (Zatanna). The beautiful Serinda Swan appeared as Zatanna the Mistress of Magic in two episodes in season eight and nine, respectively. A powerful magician who cast spells by reciting words backwards, she granted Chloe a wish to switch places with her mundane-by-comparison cousin Lois. Zatanna later returned and found herself in an adventure with a young boy turned into a super-being through a spell placed on a comic by her father. Alexz Johnson (Imra Ardeen/Saturn Girl). Making her debut in season eight, Saturn Girl, Lightning Lad and Cosmic Boy arrived from the future to save Clark from the Persuader. They revealed that they were members of a Legion of Super-Heroes, where they revered Clark as the greatest hero of all. Saturn Girl helped Clark defeat Brainiac with her telepathic abilities and brought his remains to the future to be reprogrammed. The trio also presented Clark with a ring that would enable him to traverse time. Britt Irvin (Stargirl). Irvin appeared as Stargirl in the season nine episode featuring the Justice Society, “Absolute Justice.” Stargirl was a natural athlete and gymnast, but her inclusion in the JSA came from her wielding Starman’s cosmic rod. Stargirl revealed to Chloe that what made the JSA special was the sense of togetherness and family they fostered. Mentored by Hawkman and the Star Spangled Kid, Stargirl hoped to team with Hawkman to usher in a new era of superheroes. Teri Hatcher (Ella Lane). Before "Desperate Housewives," Teri Hatcher played Lois Lane in "Lois and Clark: The New Adventures of Superman." Teri Hatcher recently appeared in the tenth season of Smallville as Ella Lane--Lois' mother. She is seen only on a VHS tape left for Lois following her death from cancer. Ella offered Lois a glimpse of her life as it was about to end, and extended hope for her daughter's future. The scene was sentimental and well-played by Ms. Hatcher, It was a nice touch to add her to the list of actors and actresses from earlier television and movie incarnations of Superman, and the show definitely benefited from her presence. Elena Satine (Mera). The beautiful Elena Satine appeared in the tenth season as Aquaman's wife, Mera. In this episode, the future King and Queen of the seas were in conflict with the U.S. government because of their pursuit of costumed vigilantes. Aquaman and Mera set out to destroy government-created "holding areas" for super-beings. Green Arrow, Aquaman and Clark were all detained at this facility before Mera aided in their escape. Mera also offered Lois some encouragement in dealing with her relationship with Clark. Elena Satine was also selected to play Mary Jane Watson in the upcoming Spider-Man film. Supergirl. Saturn Girl. Zatanna. Black Canary. Lois Lane. Lana Lang. Most of the significant women from the Superman comics have been featured in Smallville, with the notable exception of Wonder Woman and Batgirl. It would be interesting to see the Amazonian Princess introduced in an episode of Smallville as a super-powered woman who could relate to Clark as an equal; their interaction could add considerable depth to Clark’s self-image as an alien. As for Batgirl, it was once suggested that Chloe Sullivan might someday be revealed as Commissioner Gordon’s daughter, but that seems both unlikely and problematic. While some of these ladies only appeared in Smallville for an episode or two, everyone (except perhaps Chloe’s mother) played a significant role in Clark’s life. With one season of Smallville remaining, it would be nice to see some of these lovely women one last time. The legend of Superman based upon DC comics tells us Lois will always be in Clark’s life. Beyond that, anything is possible—especially in a place like Smallville. Smallville can be seen on the WB Network. 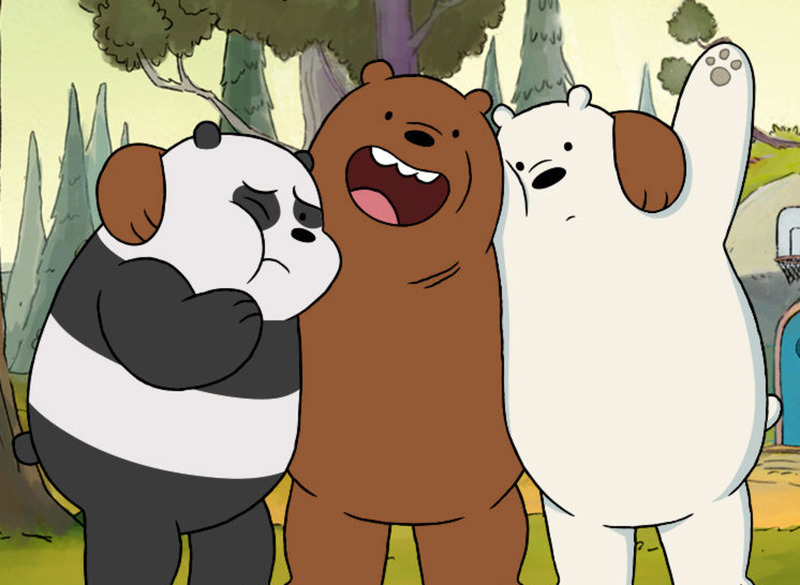 Episodes can also be seen for free online. For more information about the upcoming season, you may refer to the Smallville Magazine available online and in bookstores everywhere. Actor Allusion: My 10 favourite examples! Thanks, Rednickle. I appreciate the kind words and hope you continue to enjoy my work. Take care. Delmar11alford, thanks for writing. No offense taken by your comment about Smallville being boring, I'm sure you were not alone in feeling that way and I understand it is no reflection on what I've written. You might give it another look sometime--it is a lot different now and you might find it enjoyable again. Habee, thanks for reading. Smallville has had a good run, and even my Mom has enjoyed watching it. It will be on the air for one final season, and it should be a good one. Thanks again. Dang - I never watched this! Enjoyable read, though! Allan, thanks for stopping by. I appreciate your offer to come use my links if you buy the DVDs. Smallville is a series I enjoy very much, and I think you would like it if you got the chance to watch. Thanks again for stopping by--come back any time. Good read Mike. Since I don't have broadcast TV at home, I've never seen this series... but I do believe I'm going to start buying the dvd sets. When I do, I'll use your links. Thanks for the great run-down. Hey, Polly, nice to see you. Y'know, I am usually the same way with television shows: the first episode of Magnum P.I. I ever saw was its final episode, and that got me into watching reruns. I watched Wings for the first time in its final season, as well. I was tempted to watch Lost for the first time due to the hype surrounding its final episode, but I refrained. Because I was so taken by the Superman story as a kid, I had to tune in. By the way, I have also found Hot in Cleveland and have watched it for the last few weeks. It is a great show and I am really enjoying it. Hope it lasts for awhile. Minesgm, thanks for stopping by. I agree that while it was necessary for Smallville to grow and evolve, I miss some aspects of the earlier seasons--particularly the presence of Michael Rosenbaum as Lex Luthor. I hope there can be some stories in the final season that connect with what has gone before. Thanks again for reading and for the vote up, I greatly appreciate it. Cari Jean, thanks for reading. I will confess that the entire cast of Smallville is quite photogenic, and you will find agreement in Janny C's comment above. I am appreciative that with Lynda Carter, Annette O'Toole and Helen Slater, they even found beautiful women my own age to admire. The attractive men and women sure doesn't hurt the show's appeal! Thanks again for reading. It seems to me that both the women and the men of Smallville are all pretty! Elena, thanks for stopping by. Smallville is about the early years of Superman, from his time as a teenager to the point where he (presumably) puts on the red and blue suit and flies. It has lasted ten years (undoubtedly longer than anyone suspected), and it is a very good show. The comics geek in me loves it, but it has enough of a following to have lasted a decade. The women are quite beautiful, and yes--Clark is pretty lucky. Thanks again for stopping by. 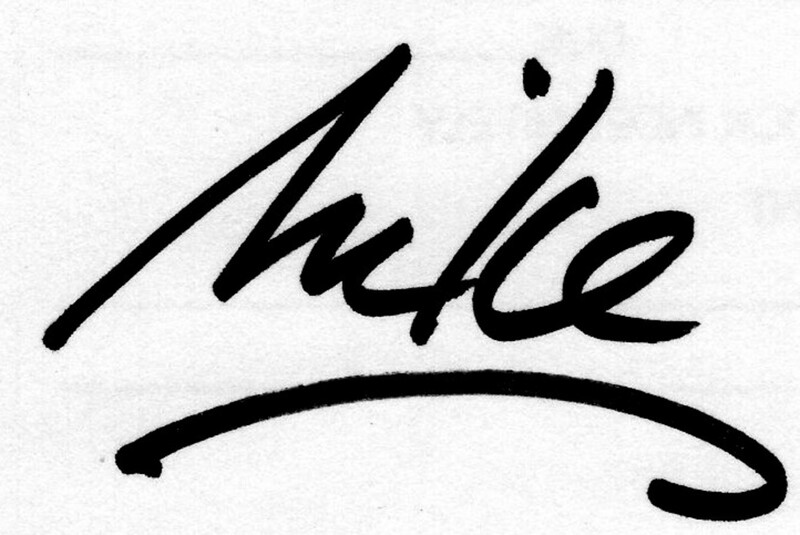 An interesting read, Mike. I'm kicking myself now for not taking an interest in Smallville. It's shown a lot in the UK and the 1 or 2 episodes I watched (a bit) just seemed to be about a guy who was like Superman. This hub has in a way compensated for not watching it. I have got the gist of the Series now. Lovely Ladies - Clark is a lucky guy. Denizee, thanks for stopping by and I hope your health has improved. Smallville does have a large fan base considering it is on the relatively small CW Network, but that is a testament to both the quality of the show and the concept of Superman in general. Thanks again for reading. Excellent Hub. Sorry for lapse of reading most Hubs, health issues, but this is very good. I've seen some of the older episodes, and know many who love this show. Thanks for sharing. Kaie, thanks for reading. If you ever get a chance, sit back and watch a little with your son if he is ever watching it again while at home--it's pretty entertaining. Billyaustindillon (Billy), thanks for reading. A few weeks ago I wrote a hub about things I would like to see happen in the final season of Smallville, and the return of Laura Vandervoot as Kara was one of them. I'm so glad she was available, and it should make for a great footnote to her appearance on the show. My father bought my first Superman comic for me when I was about three years old, and it has been a blast ever since. Thanks for stopping by! Hi, Janny! Thanks for stopping by. I always liked Black Canary in the comics, and I thought they did a good job with her on Smallville. I found it interesting that Luthor originally sent her out to fight Green Arrow, her romantic interest in the comics. I would like to have seen a few more sparks between them on TV, also--that would have been a nice detail. I will give some thought to a "Men of Smallville" hub, and if I do one, Green Arrow will certainly be there. Thanks again, and I hope life is treating you well these days. Take care! John, thanks for reading, and for your kind words as well. Yup, Helen Slater portrayed Clark's Kryptonian mother on Smallville, and also starred as Supergirl in the 1984 movie. The movie itself wasn't that great, but Helen Slater did a fine job, and she is extremely beautiful, both then and now. 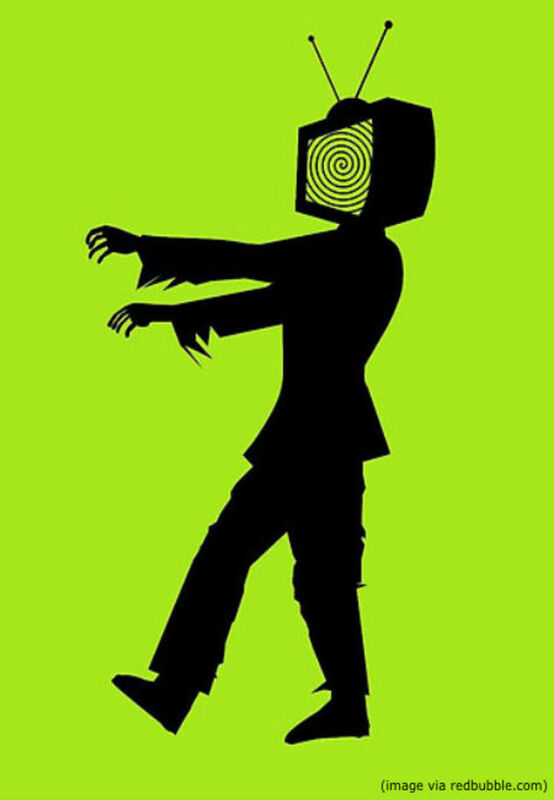 I will check out the animated films you mentioned, and thanks again for stopping by. Hi, Nell, thanks for reading. I have always enjoyed Smallville, as well. I thought the latest Superman movie was good but not completely satisfying.... One of the enjoyable things about a show like Smallville is that the people and relationships can grow and progress, much the way they do in comics--that isn't really possible in the movies. For example, I loved both Gene Hackman and Kevin Spacey as Lex Luthor in the movies, but Michael Rosenbaum had years to add depth and subtlety to Lex, and I enjoyed his portrayal just as much. Smallville has added a lot to the story of Superman, and it has been a fun show to watch over the years. I'm sorry to see it finally end, as well. I have always thought the women cast in Smallville were very attractive, and even the quirky Allison Mack is made to look pretty glamorous. Well, Wayne, thanks for stopping by. Come back any time. Paradise, thanks for stopping by and saying hello. Smallville is an interesting show and a successful one for the CW network. I mention this because even my 81 year-old mother watches, and records the show when she can't tune in. It has to be pretty good to include the elderly in its demographic. Thanks again for reading, and I hope you get a chance to see the show at some point. drbj, thanks for reading. I have always enjoyed the Superman shows--the 50's show with George Reeves, Lois and Clark with Dean Cain, and now Smallville. The interesting thing about them is that they've all been unique in their own way. Of course, the story of Superman is a good one, and it can be retold to a new generation of audiences every ten years or so. Hope you're able to catch it sometime. Take care. Saddlerider, thanks for stopping by. I always enjoy reading anecdotes from your experiences that others' hubs bring to mind. It sounds like you had quite the adventure in Metropolis, and it is cool that a town would make themselves the official (or at least unofficial) home of Superman. 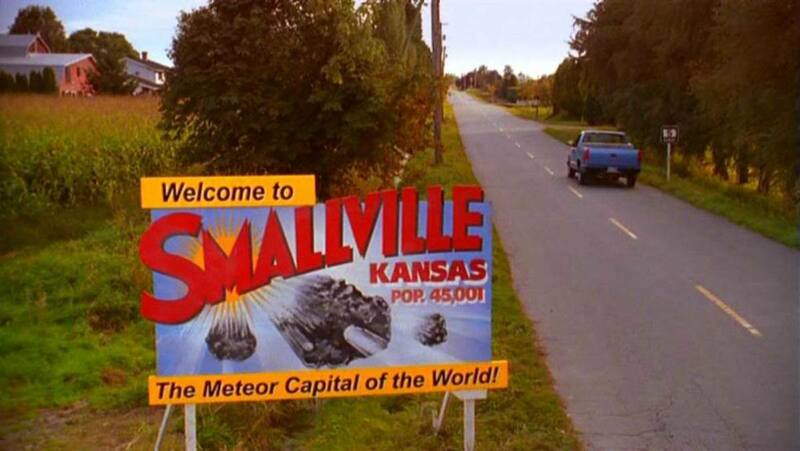 I always wondered why some town in Kansas didn't rename itself Smallville, but perhaps that's going too far. Glad to hear nothing bad came from your hauling plutonium, as well. Thanks for telling your tale--as I said, the stories you tell are always interesting. Take care, my friend. Thanks Mike I am a big Superman fan from way back in the first comic from 1938 to Smallville - they do a great jib here and I see Supergirl is coming. OMG! They did Black Canary!!! Love her!From the pic she looks cool. I do remember watching an episode with supergirl now. That is totally cool they had Helen Slater play clarks Mom. Im Comic fan girl squeels with Glee. You need to men of Smallville now and have big picture of Green Arrow for Janny to drool over. Stumbled this one! Mike you have another great Smallvile hub. The women on the show are truly beautiful. I am happy to hear Supergirl will be returning for the final season. I did not realize Clarks biological mother was played by the same woman who played Supergirl in the past. She is still super hot. Check out the Superman Animated Movies if you have not seen them. Superman Doomsday and Superman/Batman Public Enimies were both great. There is a new Superman/Batman Animated film coming out later this year introducing Supergirl and Darkside. Keep up the good work. I just love the women of Smallville, especialli Lois Lane and think that Smallville has reinvented the Superman mythology by placing it in it's own order of events, although clark not being able to fly yet has been frustrating as he has all of his other powers! I'm currently around halfway through the 9th series, although I've read spoilers elsewhere, it still is good though. Big ditto of drbj, any program based on Superman can't be all bad! And I like the name, itself--Smallville. What a charming write-up of what seems like a charming show! Thanks for the intriguing review of "Smallville," Mike. Any program based on Superman characters can't be all bad. I'll look for it. Hey Mike I was not a loyal follower of Smallville, however I certainly have enjoyed watching and reading Superman Marvel comics since a boy. He has always been one of my heroes along with Batman and The Hulk. My load was to be taken to Metropolis Illinois if I can remember correctly. Anyways when I arrived, there was a big billboard outside of town welcoming me to the town of Superman. Well then I figured it out, I was hauling plutonium, he he. As it turned out it was a low level radioactive type of substance that had to be handled carefully, thus the suit they gave me had to be put on and worn when I opened my back door at the unloading dock. I did that and promptly left the area while a fork lift with two other men dressed in space outfits gingerly unloaded me. I went to the truck stop in the town and it was loaded with every conceivable type of clothing, gadget and nick nack one could imagine about Superman and the legend. I bought a few things and took them back home with me. That was an interesting trip and find. Imagine a town honoring a comic book hero. Fantastic, I was thrilled. Hi, Peggy. Yup, Smallville is indeed based upon Superman. Tom Welling as Clark has yet to wear the suit, but Luthor, Brainiac, Bizzaro and other enemies from the classic comics have appeared on the program. I was always a comics geek, but I enjoy it very much. Thanks for stopping by and reading, hope you can watch it once in awhile. I missed the boat. Had no idea that Smallville was based upon Superman and the other characters. Sounds like it has been fun to watch.